Bayswater W2 Commercial & Home Rubbish Removals | RDA Cleaning & Maintenance Ltd.
Our waste collection company provides professional rubbish removal services in Bayswater W2. With its dedicated insured workers RDA Cleaning & Maintenance Ltd. will do everything in its power to bring you the best quality rubbish removal service available. We will transport all of the waste to the required destinations. Be it dumpsters or recycling plants. This way we ensure that our services are both efficient and eco-friendly. Every offer that we can present you will come at an affordable price. So, give our company a call at 020 3404 1646 or use the online booking form and we will send a team straight away. Why Order Our Rubbish Collection Bayswater W2 Service? The rubbish collection Bayswater W2 service does not require you even to move from your coach! The truth behind the success of each waste disposal Bayswater W2 performed by our company is that we send only well-trained and educated technicians. We have hired decent workers with rich experience on the market. We provide them additional qualification and we test their skills in real time to make sure the customers receives the top assistance they deserve. The removal technicians are insured, so your place is at safe hands. In case of any damage or loss, we cover the omissions. Still, these are very rare cases of accidents. The service has a wide coverage across the UK and our company has no day-off. We are available for your reservations 365 days per year with no holiday or weekend exceptions. 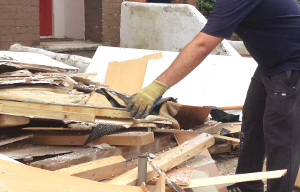 Make a reservation for our top-notched rubbish removal services in Bayswater W2 today! Use the online booking form and complete your reservation in no time. Call our helpful operators on 020 3404 1646 phone number today! We will restore the order and the cleanliness in your environment as soon as possible and at fraction of the cost!